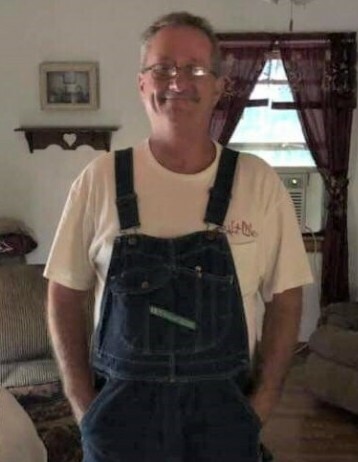 Steven Ralph Kinzer 55 of Bainbridge died unexpectedly Friday, March 29, 2019 at Adena Pike Hospital. He was born June 9, 1963 in Pike County the son of Colin Ralph Kinzer and Judy A. (Moore) Kuhn. In addition to his parents, Steve is survived by the love of his life, Lorraine Adams; daughters, Rachel Powers of Chillicothe and Ashley Nicole (David) Detty of Londonderry; grandson, Benjamin Detty; sister, Christy (Kirby) Ferrell of Bainbridge; brother, Keith (Faith) Kinzer of Washington Court House and several nieces and nephews. He was preceded in death by his father, Henry Kuhn and brother, Henry Kuhn, Jr.
Steve enjoyed life with his family and friends, and he liked to relax by restoring his 65 mustang while listening to 80’s music. In keeping with Steve’s wishes cremation has taken place and there will be a celebration of his life held at the convenience of the family. The SMITH-MOORE-EBRIGHT FUNERAL HOME of Bainbridge is serving the family.